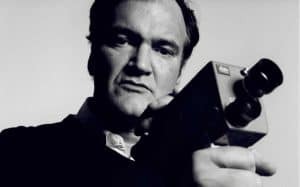 Quentin Tarantino Retiring After His Tenth Film | Nerd Much? Quentin Tarantino has announced that he is still expecting to retire after his tenth film. The highly-regarded director would like to end while it’s still good. During his appearance at Adobe Max (picked up by The Hollywood Reporter), Tarantino made his announcement with style. “Drop the mic. Boom. Tell everybody, ‘Match that s–t,'” he said. For every fan keeping track, Tarantino released his eighth film last year in the form of The Hateful Eight. If he can continue his incredible critical success, we should expect two more great movies before he’s through. What could these movies be? Well earlier this year he teased that his ninth film could be a “Bonnie and Clyde-esque” story set in 1930s Australia. As for the tenth? Possibly something set in Hollywood’s past. Whatever Quentin Tarantino decides to do, we are all for it. This man has brought some of the greatest films in cinema history. His passion for the theater has shown through his work and we are grateful for that.